SOS remained SOS but some relevant changes had taken place at the AGM. The Committee now consisted of the officers and only three ordinary members; Brigitte Lavoie became the sole Chair and Paul Dawson-Plincke the Vice Chair with Mark Allen and Jo Barnard stepping aside to concentrate on PLO and Business Manager affairs respectively. 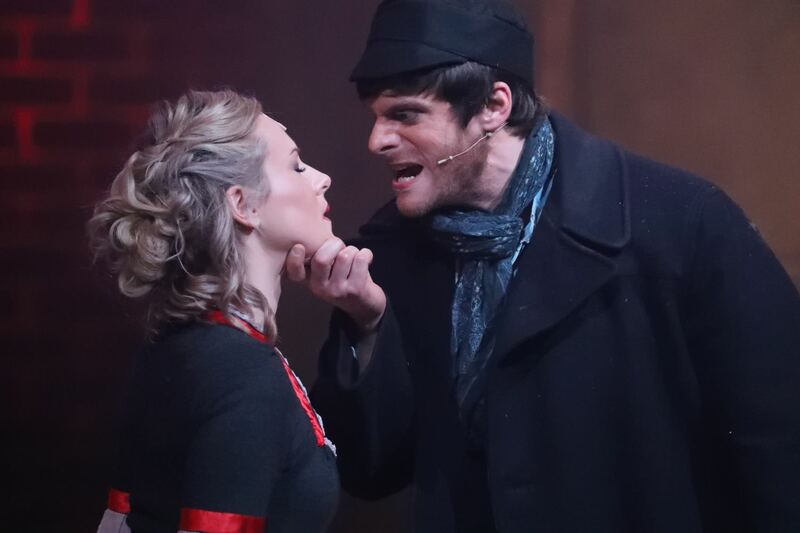 The opportunity to put SOS and DYT on the same stage for Oliver! had been a long time coming – it was first suggested in 2012! However, a professional tour of the show and then a long wait to obtain the licence meant that plans had to be put on hold. Appropriately, the big company of 60 (26 from DYT) had a large Directing Team to put them though their paces with Roger Lamb (Director), Nigel Finch (MD) and Sarah Hogger (Choreographer) leading the adults ably helped by Wendy South, Rachael Thorpe and Emalene Hickman who concentrated on the younger members. 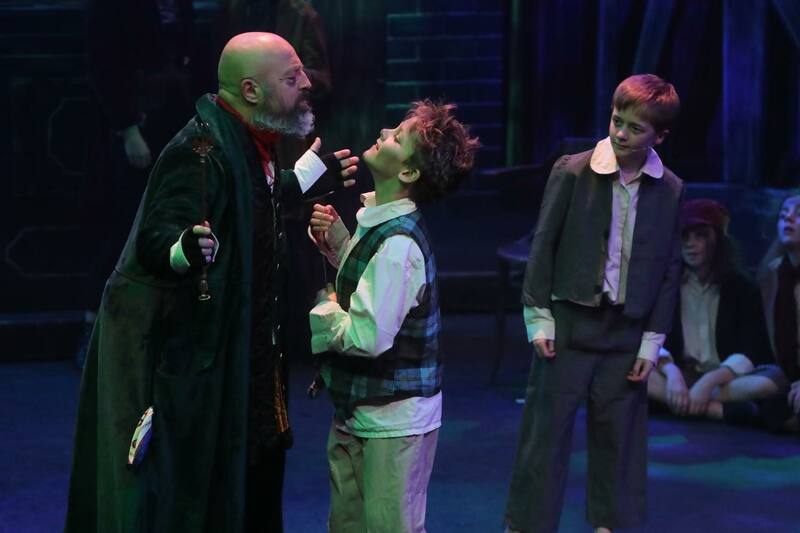 There were four official reviews of Oliver! and all agreed that it was ‘a very good show with a professional look’. 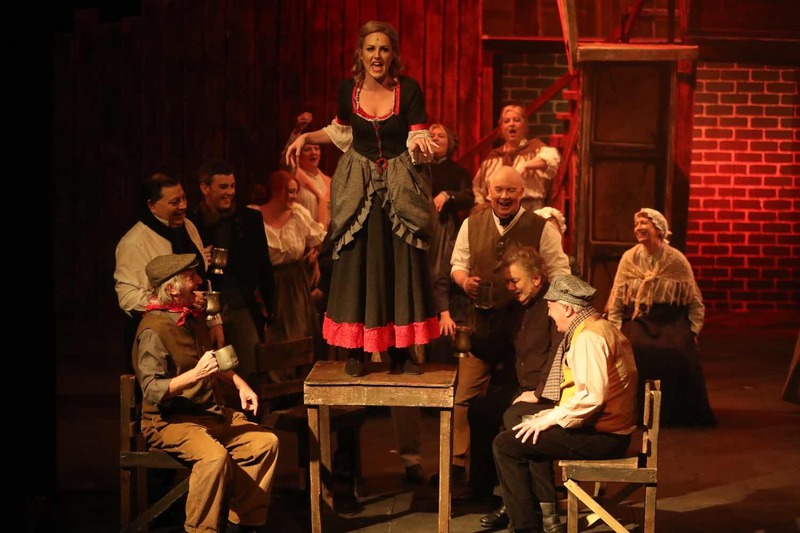 The most thorough critique came from the pen of Bob Heather from NODA who praised the lighting provided by Martin Whitaker (‘spot on’), the sound operated by Richard Wyeth (‘very easy on the ears’) and the costumes (‘ideal for the period’). 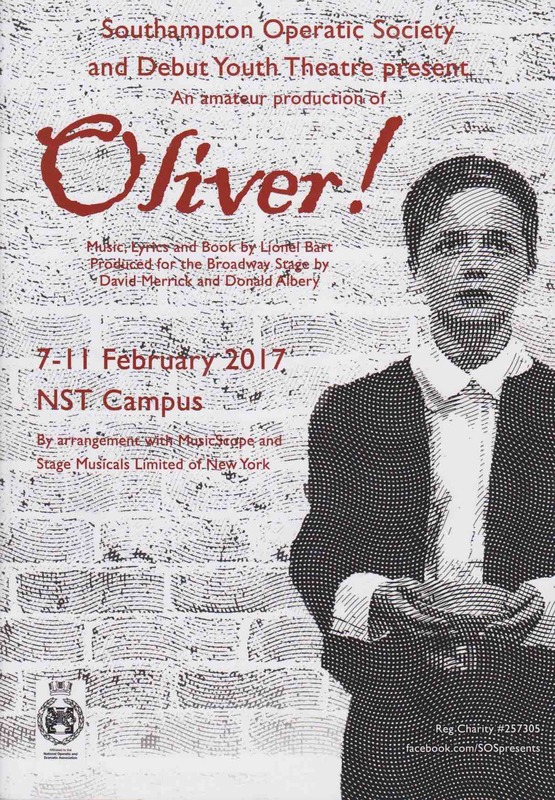 Extracts from the report declared; ‘Oliver himself was a delight to watch and was admirably played by Joe Mawby. 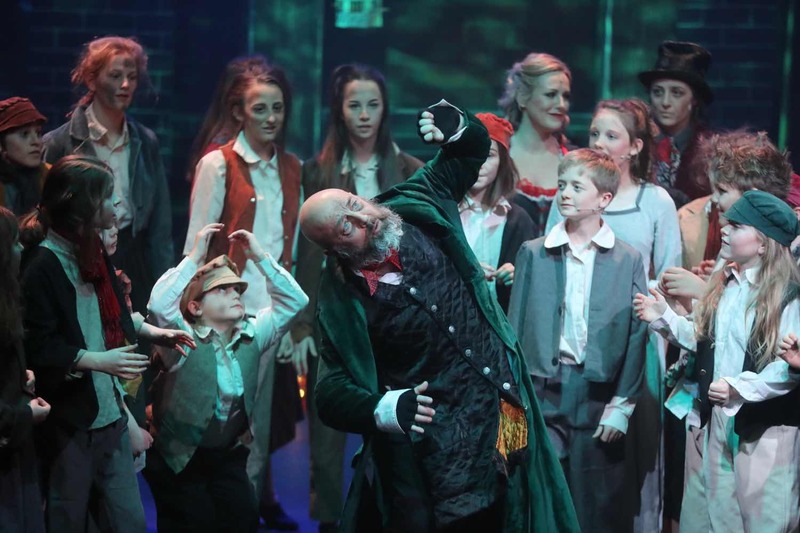 His singing was that of an angel’… ‘When the slimy Fagin (Jonathan Fulcher) made his eventual appearance, he looked just right and made the part his own. 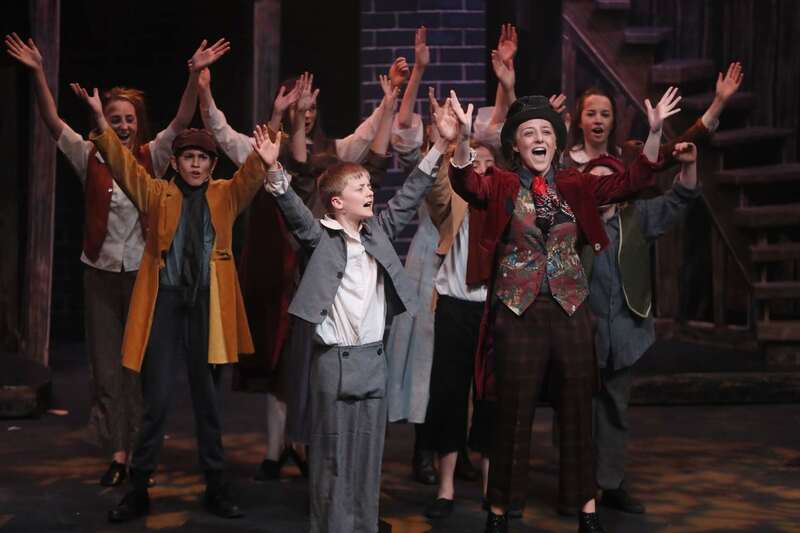 He acted the role brilliantly’… ‘Dodger, played by fifteen year-old Abbie Miller, was also acted very well, swaggering confidently and doing a wonderful job with the role’... ‘When Nancy (Kerry Butcher) made her entrance, the whole show went up several notches. 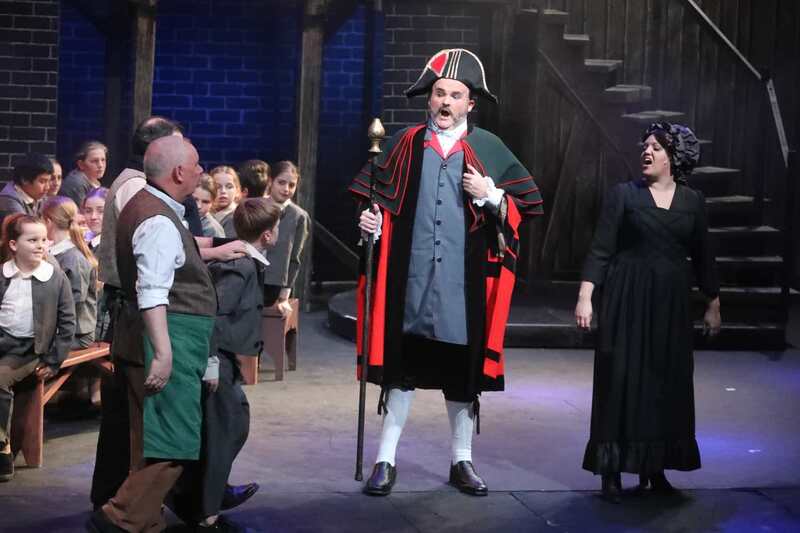 Wonderful acting, great movement, brilliant characterisation and a voice to die for’… 'Bill Sykes was played by James Gould. 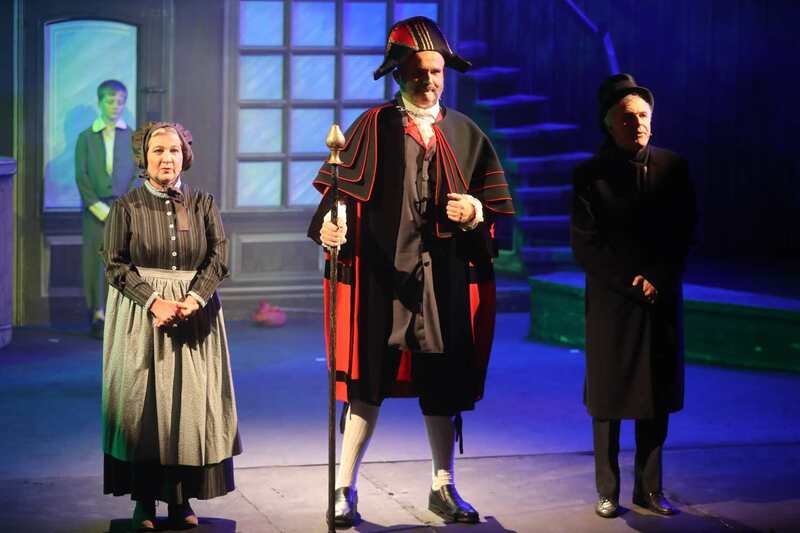 He looked and acted the part very well, with a voice that seemed freshly quarried from a gravel pit'... ‘Mr Bumble the Beadle, (Mike Pavitt) was very imposing in his regalia, and when he spoke, his voice resonated throughout the whole of the auditorium, a good Bumble rumble’… ‘Widow Corney was wonderfully played by Susie Maycock and complimented Pavitt’s voice beautifully’… ‘Mrs Sowerberry (Sarah Fulcher) was played with gusto as a really feisty, vindictive woman’… 'Mr Sowerberry, (Les Pike) looked and played the part admirably’… ‘The director did an extremely good job with this show’… ‘I could have listened to the orchestra for hours’. Early ticket sales were very promising but they did dwindle a towards the end and the final figures showing a £3318 profit was perhaps a disappointment.